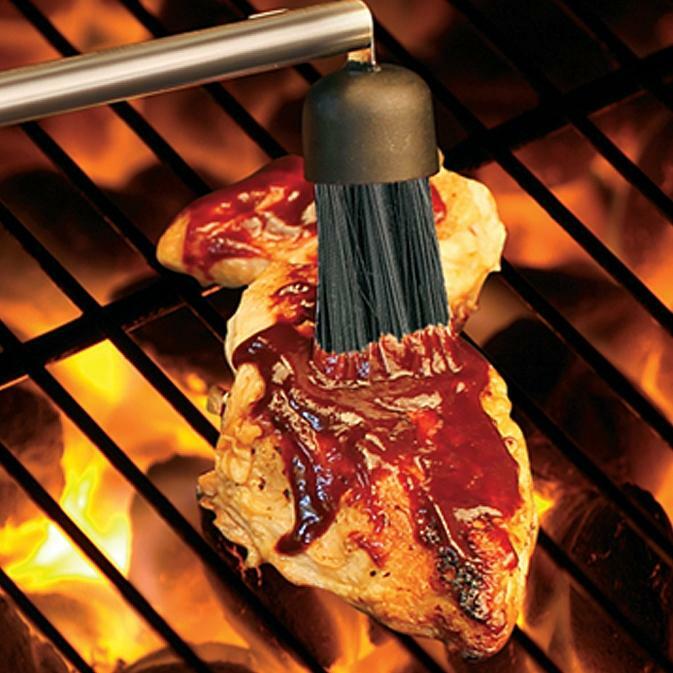 Product Description: Basting Bottle With Silicone Head. 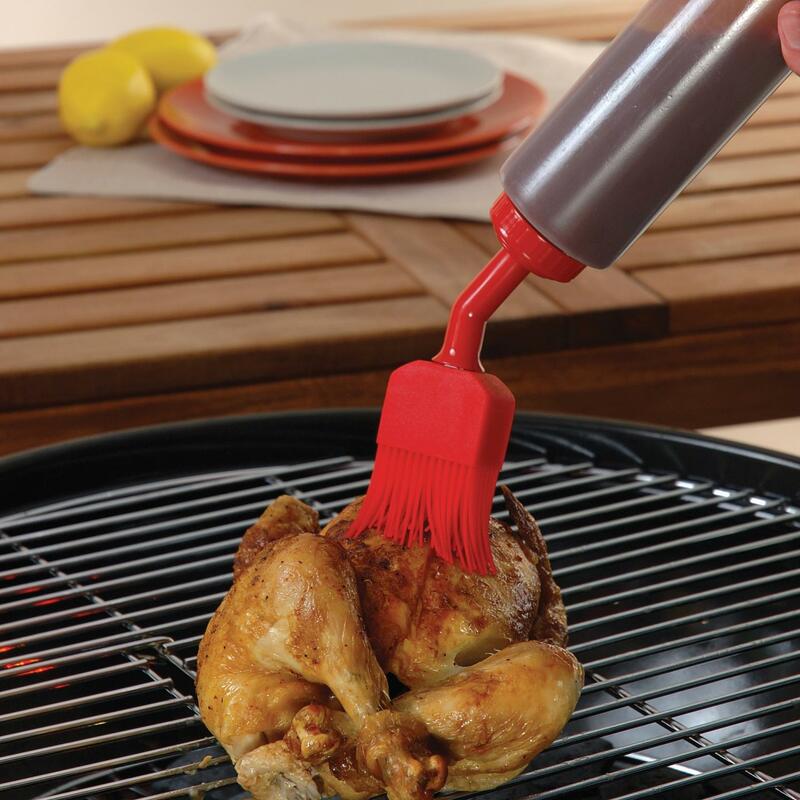 This 16 ounce silicone basting bottle is a one-step wonder for basting meats. 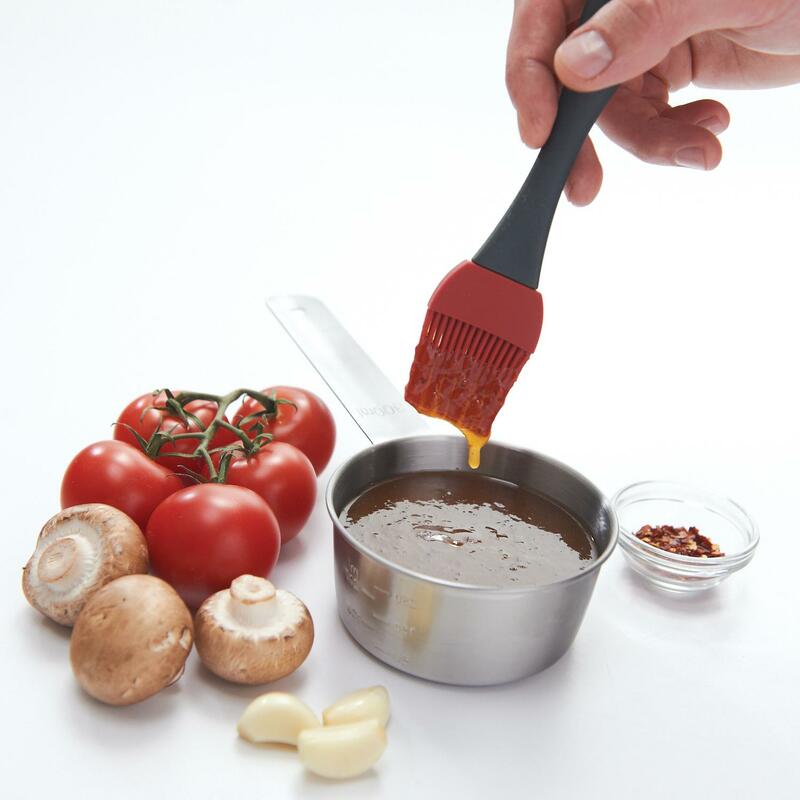 To use, simply pour your favorite sauce or marinade into the bottle. 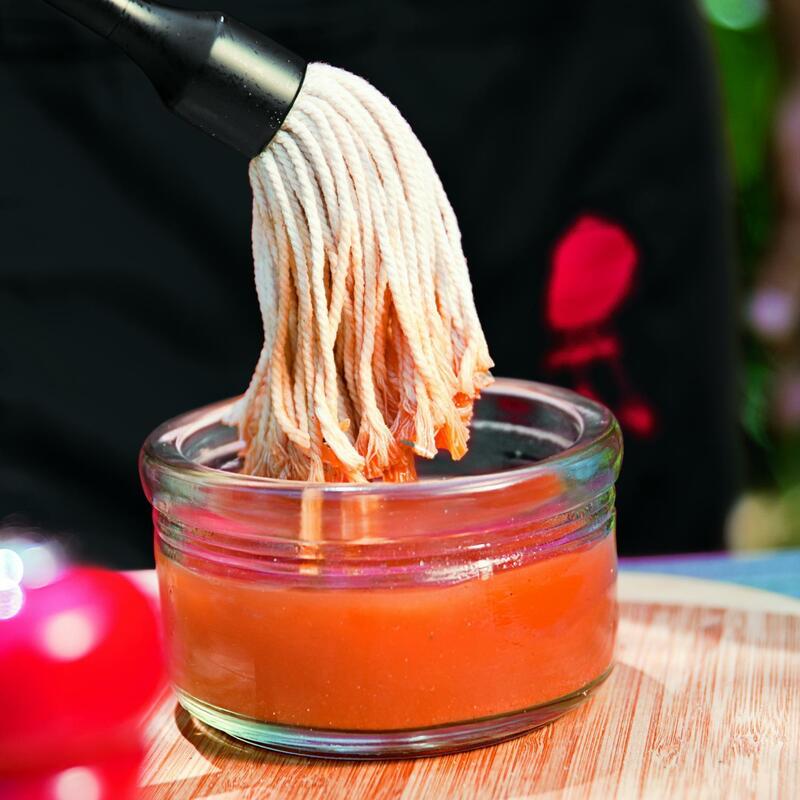 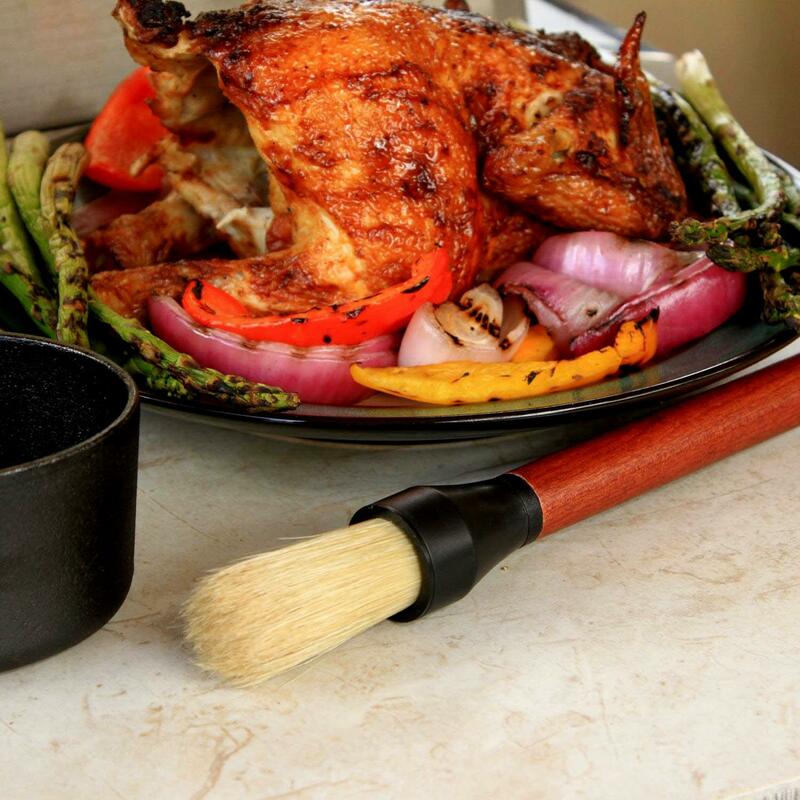 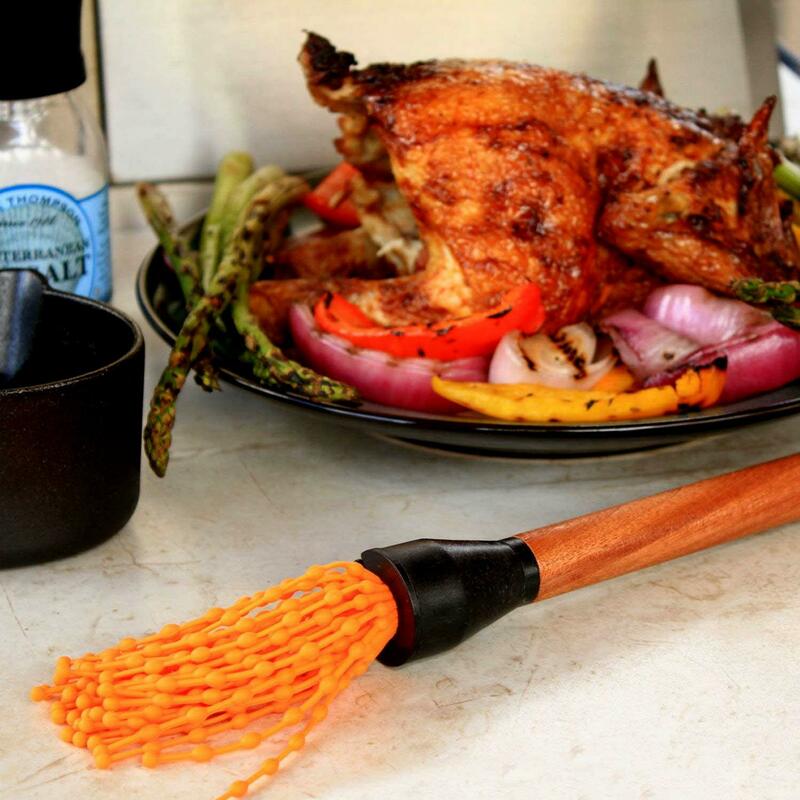 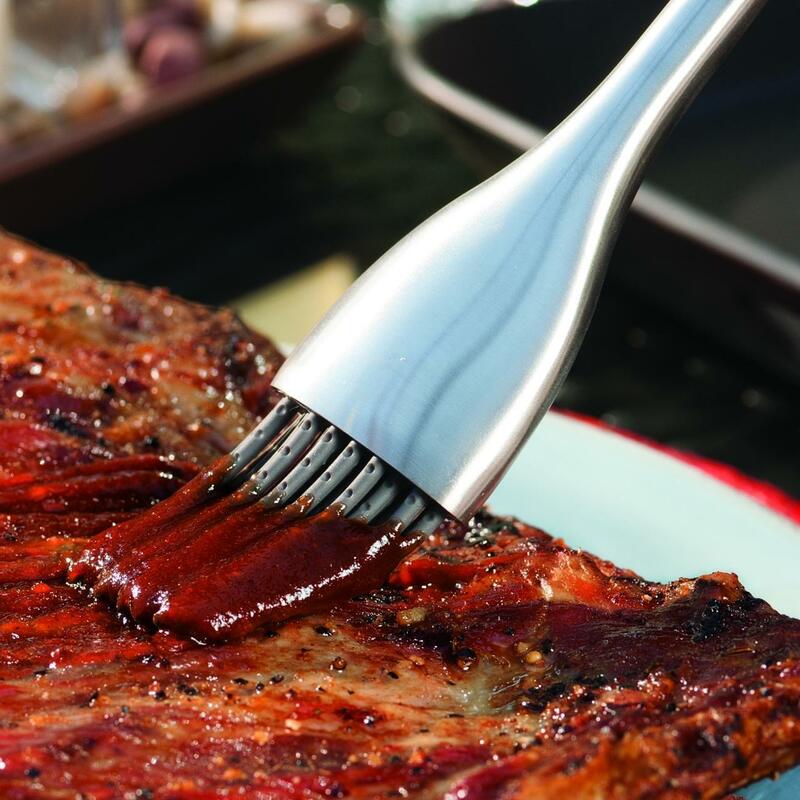 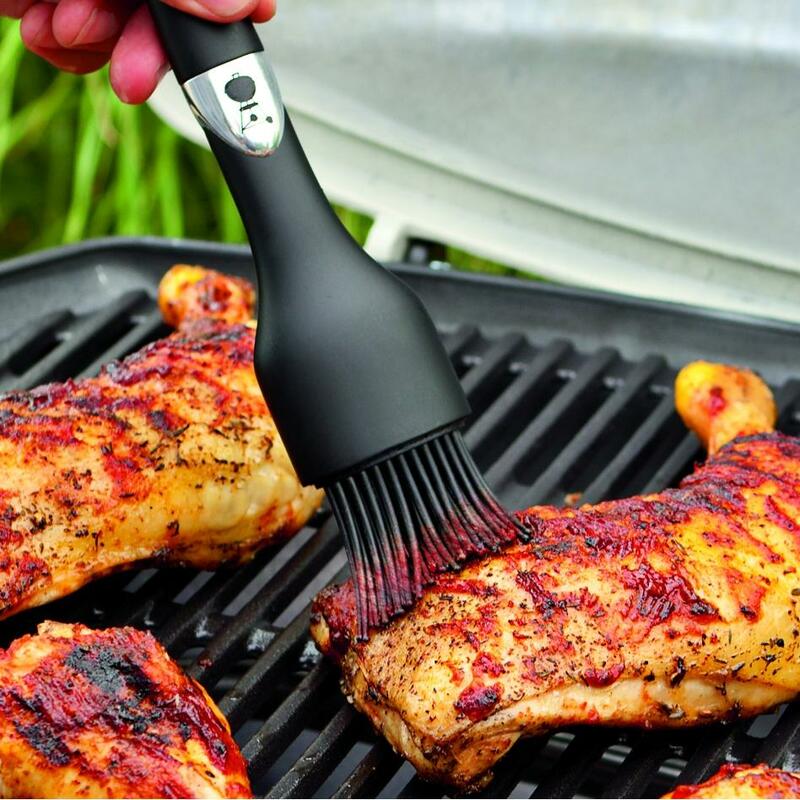 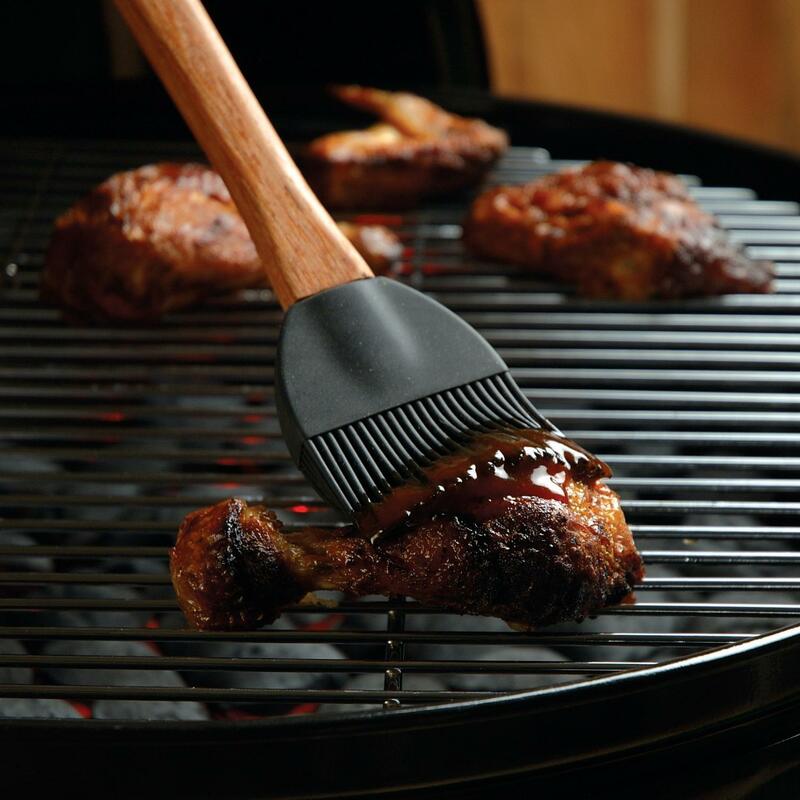 The silicone brush holds onto sauce and spreads marinade over your meat while withstanding heat up to 475 degrees Fahrenheit. 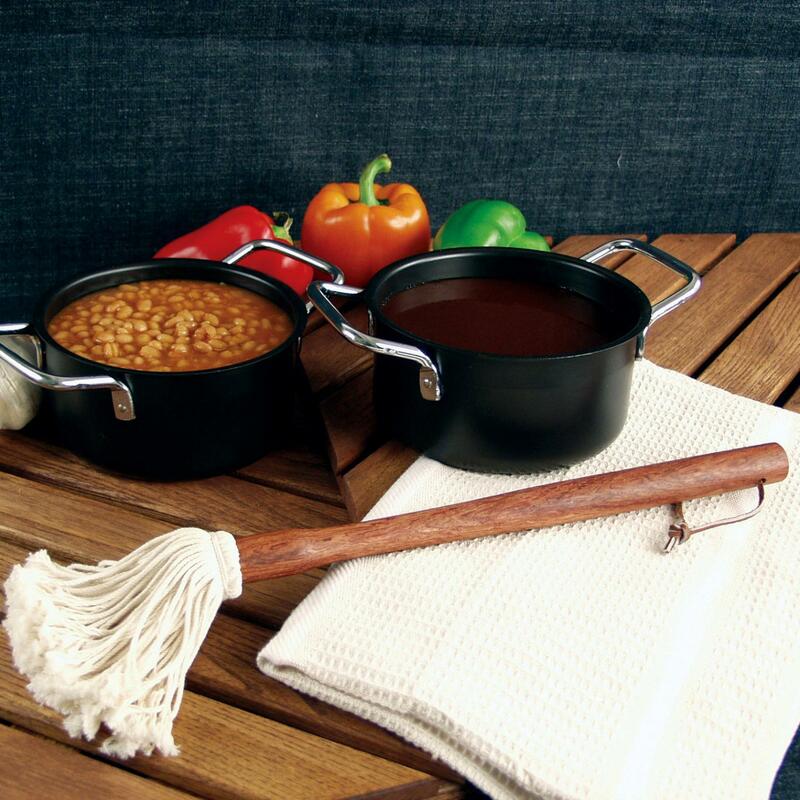 A curved head adds effortless maneuverability, and the container is easily refillable. 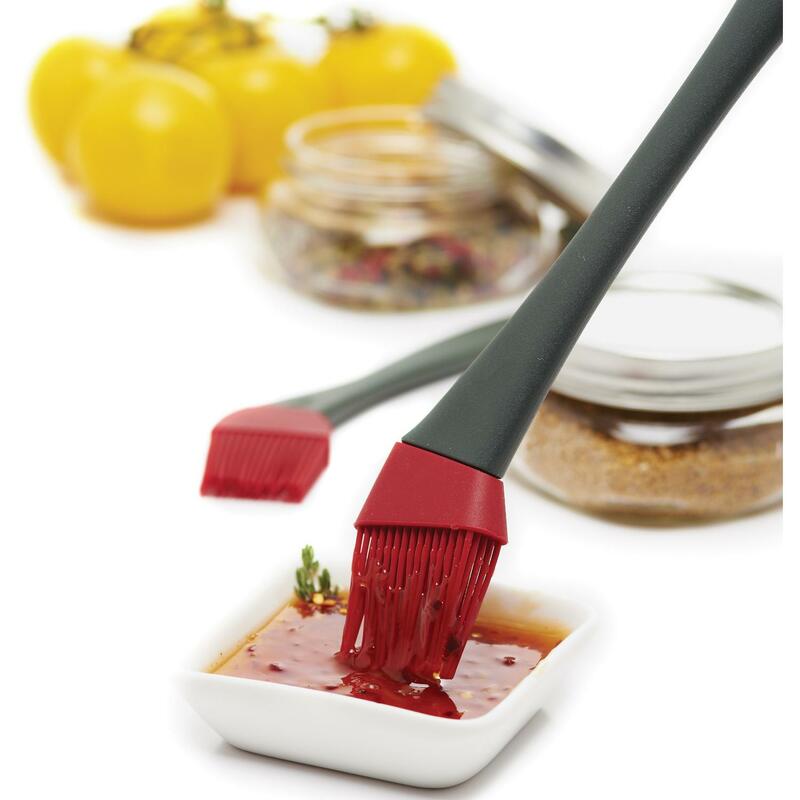 A convenient cap lets you remove and clean the brush head while still being able to refrigerate remaining sauce for your next cookout.